On May 23rd, 2018, two-time Olympian Cliff Meidl and Dr. Malcolm Lesavoy gave a special presentation at Harbor-UCLA Medical Center’s Department of Surgery Grand Rounds. The event marked the launch of their worldwide tour meant to bring a timely and vital message to the healthcare industry. Cliff and Dr. Lesavoy shared their amazing story — one that reverberated across the globe and illustrates what can happen when a doctor goes beyond the call of duty. 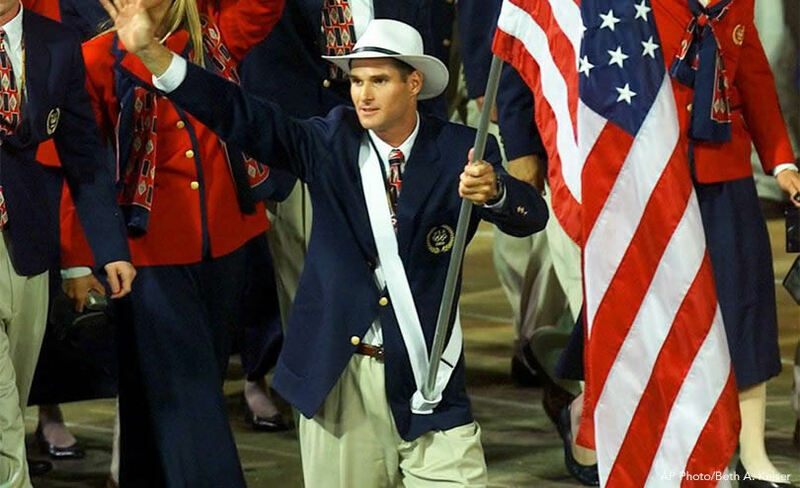 Nearly two billion viewers from around the world watched American kayaker Cliff Meidl lead his teammates onto the field at the Opening Ceremonies of the 2000 Sydney Olympic Games. Many had learned the inspiring story of this courageous young man from Manhattan Beach, California. It was the culmination of a dream that involved faith, science and friendship, and made possible by a tremendous support system. It all started 14 years earlier, in 1986. While working on a construction site, Cliff jackhammered into three buried power lines and received a massive electrical shock, sending approximately 30,000 volts of electricity through his body. The severe shock stopped his heart, but he was revived by fast-acting firefighters and first responders — the first of many to save his life. There was another problem. Electrical burns are not immediately outwardly visible — their destructive power travels along the path of least resistance: the nerves and blood vessels. Once Cliff was stabilized, doctors realized that his lower extremities had suffered the most acute damage and both of his knees were completely destroyed. Surgeons concurred that nothing could be done but to amputate both legs above the knees. Cliff’s mother wouldn’t hear of it. 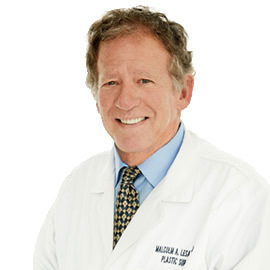 She had learned of a Plastic and Reconstructive surgeon named Malcolm Lesavoy who had been performing radically innovative surgical procedures and immediately reached out to him. 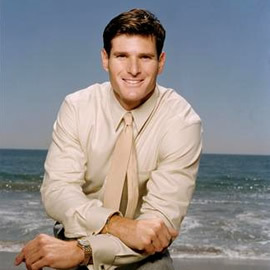 The night before Cliff’s scheduled amputations, Dr. Lesavoy visited Cliff and agreed to transfer him to UCLA where he performed limb preservation surgery. Once Meidl’s knees had sufficiently healed, he took on an aggressive rehabilitation regimen — his sights fully set on conquering his recovery. Dr. Lesavoy continually inspired Cliff, reminding him that through sheer force of will, determination, and tenacity, one can overcome almost any obstacle that life may throw your way. Dr. Lesavoy’s constant motivation and support became the driving force that propelled Cliff to success. Over the next few years, Cliff’s hard work, determination, and spiritual faith helped him grow into an accomplished athlete. 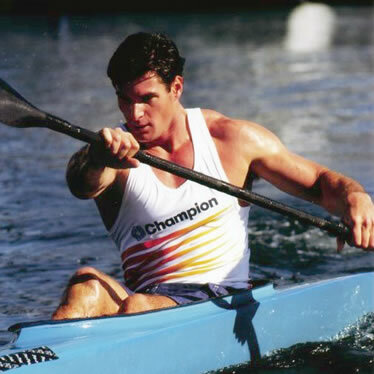 As if his astonishing recovery wasn’t impressive enough, he went on to become an Olympic kayaker and was a member of the US Olympic team in both the 1996 Atlanta and 2000 Sydney Olympic Games. At the Sydney Olympics, the members of the US team voted to give him the incredible honor of being the flag bearer at the Opening Ceremony. The following year, Cliff was honored with multiple awards, including the ESPN Arete Award for Athlete of Courage. It turns out that it was the darkest moment of Cliff’s life that led directly to the remarkable achievement of becoming an Olympic athlete. He went from receiving encouragement from his now longtime friend, Dr. Lesavoy, to becoming a beacon of hope and inspiration himself. Once Cliff found the fire within that propelled him forward towards success, there was no stopping him. 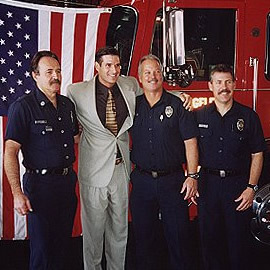 Cliff meets the first responders who saved his life. To book Cliff Meidl for your next event, please use this online contact form.